Welcome to the Portsmouth Wind Power Page. The authoritative source of information on wind power initiatives in Portsmouth. Since late 2004, the Portsmouth Economic Development Committee (PEDC) Sustainable Energy Subcommittee has been working on the potential use of wind power to provide for some of the Town’s energy needs for five years. We needed to make sure that erecting a Town Wind turbine would also be an economic engine that would add to the Town’s treasury. We did an extensive feasibility study to make sure we had all the facts and put the question up to the voters who approved the project with a sound majority. In April 2008 we signed a contract with AAER of Canada to build our wind turbine. The turbine was turned over to the Town on March 24,2009. Portsmouth's Wind Turbine project will be featured on the National Geographic Channel's WORLD'S TOUGHEST FIXES that will premier in June 2009. Check the link for the dates/times. The Wind Turbine went on line on March 18, 2009. The manufacturer, AAER, is working on a real or near time data readout that will be available to the public. This feature should be available in about a month. NEED ANSWERS? See the Frequently Asked Questions Page. WIND TIMELINE - See the Project Timeline. WIND LINKS - Visit the LINKS page. 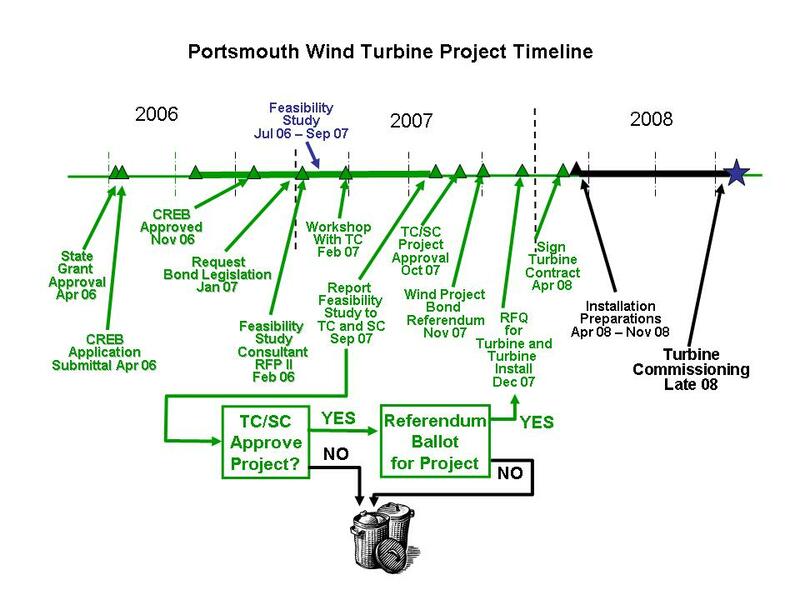 READ PORTSMOUTH's WIND POWER FEASIBILITY STUDY..
Thw wind turbine was offically dedicated on May 12, 2009. (MORE) . We'll provide you construction updates as things happen. Just click on the date below. March 24, 2009 - Town Accepts WTG Keys - Offical Shakedown Commences. .
March 21, 2009 - WTG in Full Automatic. .
March 18, 2009 - Manufacturer Acceptance Testing in Progress. .
March 7, 2009 - Ribbon Cutting Ceremony. A Few More Days of Testing. .
March 3, 2009 - Blades Installed. A few Days of Testing Remaining. .
March 2, 2009 - Still Waiting Through the Night and the Snow . February 28, 2009 - Final Tower Section and Nacelle Landed. .
February 27, 2009 - The Nacelle Arrived and is Ready - But, Too Much Wind Delays Erection. .
February 24, 2009 - All Blades Attached - Nacelle on the Way. 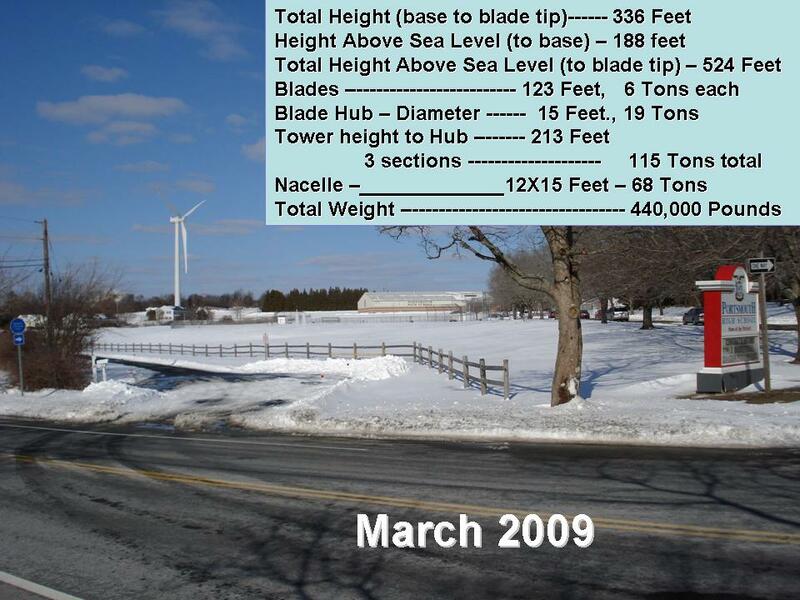 February 19, 2009 - First Blade Attached - Nacelle Delayed. February 17, 2009 - Second Tower Section Set In Place. February 13, 2009 - First Tower Section Set In Place. February 9, 2009 - Towers Make Their Way to Newport. February 6, 2009 - Governor Watches Tower Loaded at Quonset. January 29, 2009 - WTG Blades Unloaded During a Snow Storm. January 27, 2009 - WTG Blades Arrive on Site. Week of January 19, 2009 - Summary of Events. January 23, 2008 - WTG BLades Parked in CT .
January 21, 2008 - First Major Component Arrival. Weeks of December 15, 2008 through January 5, 2008. Week of December 8, 2008. Weeks of November 24, and December 1, 2008. Week of November 17, 2008. Week of November 10, 2008. Week of November 3, 2008. Week of October 27, 2008. Weeks of October 13 and 20 2008. Weeks of September 29 and October 6, 2008. Week of September 22, 2008. Week of September 15, 2008. Week of September 8, 2008. Week of September 1, 2008. Week of August 25, 2008. Week of August 18, 2008. Week of August 11, 2008. Week of August 4, 2008. Week of July 28, 2008. Week of July 21, 2008. 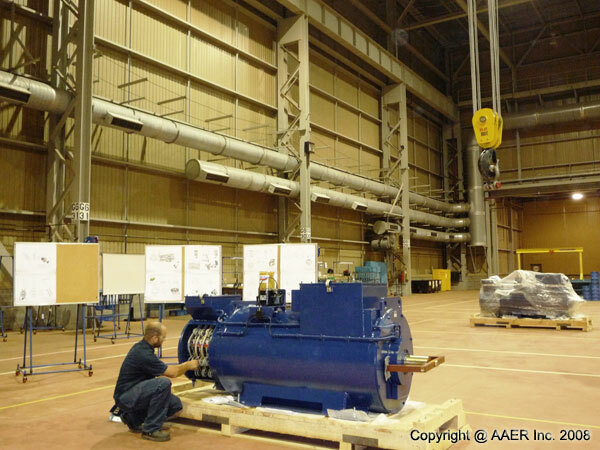 Portsmouth's Generator is seen here at the AAER plant in Canada after it arrived in mid September 2008. WIND TURBINE GENERATOR GROUNDBREAKING JUNE 13. On June 13, 2008,at 4:00 PM, the official groundbreaking for the wind turbine project was conducted. The ceremony was held at the turbine site with about 40 people attending. Remarks were made by Dennis Canario, Portsmouth Town Council President, and Dave Gagnon, President and CEO of AAER, Canada, the wind turbine contractor. ( ... SEE MORE...). WIND TURBINE GENERATOR CONTRACT SIGNED. On April 11, 2008, Dennis Canario, Portsmouth Town Council President and Alex Pichs, Wind-Smart Program Manager signed a $2.918 Million deal to procure and install a 1.5 Megawatt Wind Turbine Generator on the Portsmouth High School grounds. The wind turbine generator, expected to be in operation late in 2008, will supply much of the electrical power needs of the school and, at times, generate additional electrical power that will be sold back to the power company. Wind-Smart will use five Rhode Island businesses as subcontractors to perform the majority of the construction work. ( ... SEE MORE...). WIND TURBINE GENERATOR WINS COUNCIL APPROVAL. WIND SMART, LLC SELECTED AS CONTRACTOR OF CHOICE. On March 10, 2008, The Portsmouth Town Council approved the awarding of a contract of up to $3 Million and an Operation and Maintenance Contract for $25,000 per year (in 2008 Dollars adjusted annually with the Consumer Price Index) for the post-warranty years (years 6 and beyond) to Wind Smart, LLC. ( ... SEE MORE...). The voters of Portsmouth approved the referendum question that authorized the Town to obligate up to $3 Million to construct a wind turbine at either the High School and/or Middle School. The Town has secured $2.6 million in zero interest bonds to be used, specifically, for the wind project. The balance of the cost of the turbine (estimated to be $400K for a total $3 million project cost) will be using conventional bonds at market rate or lower cost funding via the State Renewable Energy Fund. ( ... SEE MORE...). WIND POWER FEASIBILITY STUDY RELEASED. We have completed our 'Wind Power Project for the Middle and High Schools - A Feasibility Study'. This study is the culmination of over two years of volunteer work by the Portsmouth EDC's Sustainanble Energy Subcommittee. Our goal was to have a complete, balanced and unbiased report on the project. We hope we have attained that goal. We discussed the study in detail at a workshop with the Town Council on October 1. At the workshop, the town Council unanimously resolved to support the project. View or download a copy of the Wind Power Project for the High School and Middle School - A Feasibility Study - September 2007. $25K STATE GRANT. We were awarded a $25,000 grant from the State to perform a feasibility study, which is currently in progress. $2.6 MILLION CREB - We were awarded the option to use $2.6 Million in Clean Renewable Energy Bonds (at zero % interest). See Funding and Economics FAQ Q-F-3 for info. 'CATCH THE WIND' Public Workshop. In June 2007, we conducted three workshops for the public to provide information on our Wind Project and to answer questions and concerns. 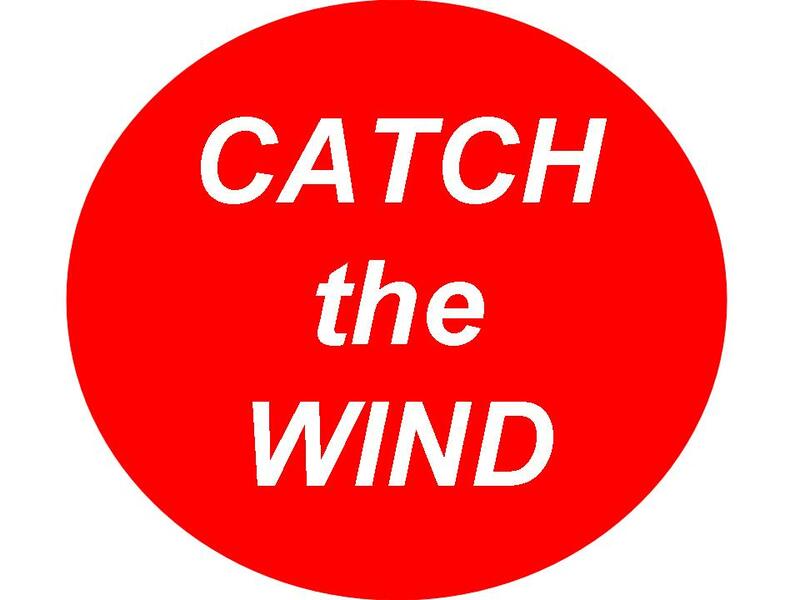 See a copy of the presentation - CATCH the WIND WORKSHOP. Also see the 'CATCH the WIND' Brochure. Answers to questions and concerns are being researched and will be posted on the Frequently Asked Questions Page. CITIZEN REFERENDUM To ensure that the decision to pursue the wind project is what our citizens want, we have taken the extra effort to have legislation enacted by the RI Assembly to have a referendum ballot to allow the voters to approve the bond expenditure for the turbine project. See Laws and Regulations FAQ Q-L-2 for more info. TOWN COUNCIL WORKSHOP - We conducted a wind workshop with the Town Council on February 20. See the workshop slides (pdf 140KB). WIND POWER SURVEY - We have conducted a wind power survey to gather the opinions of our citizens. We mailed surveys to a number of specific residents and also a random sampling of residents. It was designed to provide us information on what our citizens think as part of our Feasibility Study to present our receommendation to the Town on whether or not to invest in wind turbines. A copy of the survey can be downloaded and review. Download the survey here. WIND POWER SURVEY. The results are included as part of the study report. WE WANT TO HEAR FROM THE COMMUNITY - This is truely the Town's Wind Turbine Generator. In the coming months you will see construction in progress above the high school as the turbine foundation is built and electrical cables are run to the main electrical supply line. At the end of 2008, the turbine is due to arrive and we will place it upon the foundation,"plug it in" and start generating power. See our outline of the Town's Path to Wind Energy for more details of our plan. See the projected Project Timeline. WIND LINKS - For other wind information, visit the LINKS page. We will respond to all reasonable questions either directly or on the Frequently Asked Questions Page. We will continuing to build this site with more information as our project progresses. Please check back frequently as we provide more information on Portsmouth wind power. To view some files, you may need AdobeTM Acrobat Reader. Get a FREE COPY at adobe.com.